Medical transportation occurs in both emergency and non-emergency contexts. And, although some such flights involve fixed-wing aircraft, the vast majority of medical transport flights involve helicopters. Obviously, a person in need of an air ambulance services has already been seriously injured or is very ill, so it is critical that such flights are completed safely to obtain further medical treatment as quickly as possible. All too often, however, these helicopters crash, which not only kills or further injures the passenger, but results in the deaths of or injuries to members of the flight crew. 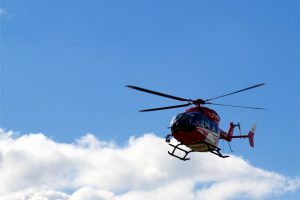 A person involved in the crash of such a flight needs accomplished medical transport crash attorneys to help navigate through the process and to protect their interests. The truth is that most accidents involving medical transport flights are preventable. Many such accidents are related to faulty maintenance of the aircraft or are the result of a design or manufacturing defect within the helicopter. Other times, such accidents are caused by poor decisions made by the pilot in the face of an emergency. Poor decisions can include, for example, flight into bad weather, flight into and out of dangerous areas without taking proper precautions, and overloading the aircraft with gear and/or personnel. Most of the pilots of medical transport flights are very well-trained and experienced with high hours in helicopters. However, in an emergency situation, passengers lack the opportunity to check the credentials of the company employing them. In a non-emergency situation, it is wise to do your research. Some companies have better safety records than others. There are a variety of on line resources such as Consumer Affairs and the Commission on Accreditation of Medical Transport Systems that can help you in your research. The medical transport crash attorneys at Braden, Varner & Angelley, PC have successfully handled numerous cases involving medical transport flights and have the legal knowledge and practical experience required to obtain favorable results for our clients. Contact us to learn how we may be able to help you.